More and more people are bicycle commuting from home to work each day. They demand safe, secure long-term parking. 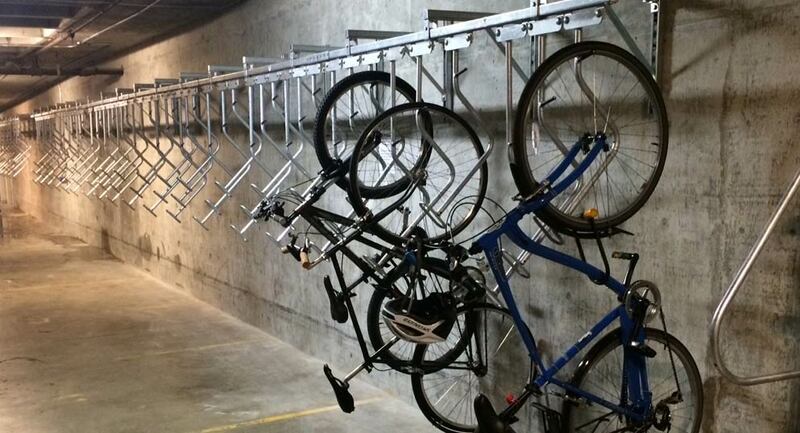 A perfect solution is a bike room for residential and commercial buildings. In the past bike rooms have been afterthoughts. The only goal was to cram as many bike parking spots as possible in vacant spaces, but now architects are incorporating them into their designs. 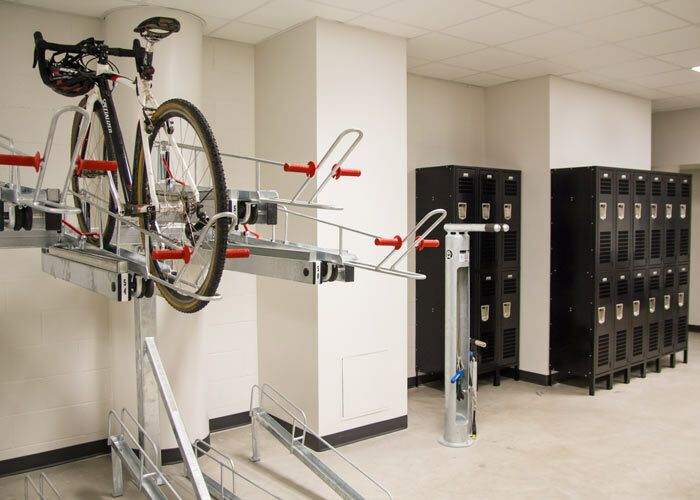 Now new construction is putting them on street level with space-efficient bike racks, plus amenities such as public bike repair stands, bike washing stations, lockers, and changing areas with showers. The image above is a beautiful example of our vertical Ultra Space Saver which can help double your capacity. Take it up another notch to create a bike room that says we love you. Add seating and lockers to store handy items. A bathroom and place to cool down or shower can be the difference between biking or not for some people. And don’t forget a bike tool station and air pump! 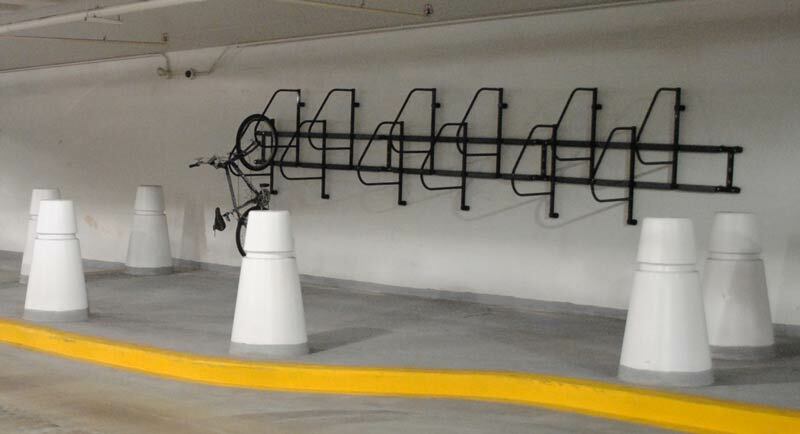 By storing bikes vertically or in 2-tier parking systems, you can fit twice as many bikes in the same floor space as you could with standard bike racks. You may not be so lucky to get a new building with a bright and shiny bike room, or maybe cycling is booming in your city and it feels like bikes are taking over your building or stacking up on the sidewalk. 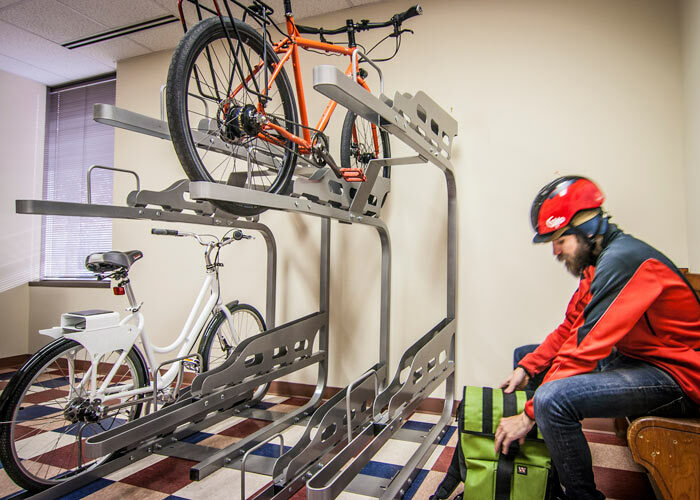 If you’re short on space, it’s time to take advantage of our vertical, double-decker, and specialty bike parking solutions to maximize what you have, whether it’s a vacant room, parking garage, or other underutilized space. Is your business bike friendly? The League of American Bicyclists’ Bike Friendly Business program gives hands-on assistance and recognition to businesses that meet the grade. Local bike advocacy organizations often manage similar programs and work closely with the League to highlight businesses that encourage commuting and shopping by bike. Check in with the League or your local bike advocates to learn more.